On Halloween, the Environmental Protection Agency (EPA) made a truly scary announcement — the agency decided to continue its registration of Monsanto’s (now merged with Bayer) highly controversial dicamba-based herbicide, Xtendimax. 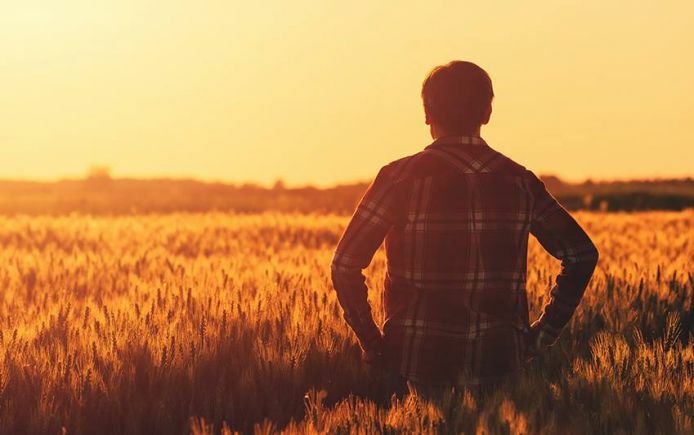 The chemical has damaged millions of acres of farmland over the past two seasons of use, and with this decision, the devastation will continue. Farmers were outraged at the news, feeling that EPA has seriously failed to protect their businesses from harm. In 2017, over three million acres of soybeans were damaged by dicamba drift. Farmers and farmer support organizations, PAN included, were vocal in opposition to Xtendimax, asking EPA to pull registration of the herbicide before even more damage could occur in the next growing season. A few states such as Arkansas took action to protect their farmers, by disallowing dicamba applications between April and October 2018. In those places that put protective measures in place, damage was reduced. But EPA didn’t take meaningful action nationally against Xtendimax after the devastating damage of the 2017 season. In 2018, over one million acres of soybeans were damaged as of mid-July, along with numerous reports of dicamba damage to fruits, vegetables, alfalfa, commercial and residential gardens and thousands of trees. Weed scientists from Iowa to Tennessee agree that the severity of the dicamba drift crisis continues to hit specialty crop and organic farmers, conventional soybean and cotton growers, orchardists, gardeners and rural residents the hardest. In its statement announcing the decision to re-register Xtendimax, EPA indicated it would add several label restrictions, such as prohibiting early morning or evening applications, and spraying 45 days after soybean planting and 60 days after cotton planting. But farmers are very clear that this won’t go far enough to protect vulnerable crops from harm. Monsanto has always been determined to keep farmers running on the pesticide treadmill. The reality is we can’t afford another year of Xtend crops. We need more than a few extra hours of protection per day. We need a bold and comprehensive policy solution to this drift pandemic. The dicamba drift crisis is a direct outcome of the chemical-intensive model of farming that has become the norm for commodity crops. The widespread use of Monsanto’s (Bayer) Roundup created weed resistance, which led to introduction of seeds genetically engineered to resist dicamba, an antiquated, drift-prone herbicide. As farmers and scientists have been saying for years, dicamba simply cannot be kept on fields: it volatilizes, drifts and will continue to cause harm until EPA has the sense and integrity to pull this product from the market. PAN will continue to work with partners in Iowa and throughout the Midwest to find a solution to the dicamba crisis, and is a co-plaintiff, along with National Family Farm Coalition and others, in a lawsuit challenging EPA’s 2016 decision to register Xtendimax in the first place. About 250,000 babies were born to unauthorized immigrant parents in the United States in 2016, the latest year for which information is available, according to a new Pew Research Center analysis of government data. This represents a 36% decrease from a peak of about 390,000 in 2007. 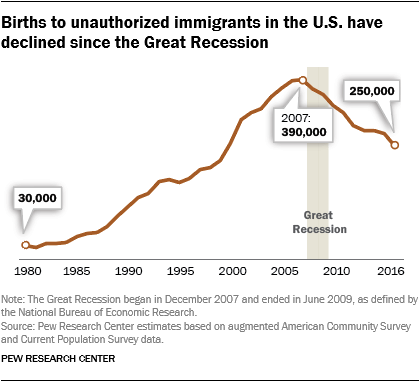 The post The number of U.S.-born babies with unauthorized immigrant parents has fallen since 2007 appeared first on Pew Research Center. GOP now = Anti-semitism George Soros, a billionaire Democratic fund-raiser, has long been villainized in certain right-wing circles. Now conspiracy theories about him have gone mainstream, to nearly every corner of the Republican Party.